Our 3 Millions + Users Of "MULTISTORY CAR CRAZY PARKING 3D" and "Multistory Car Crazy Parking 3D 2" Now we designed "MULTISTORY CAR CRAZY PARKING 3D 3" for our Sweet and Active Users with 100 challenging levels. We are here to designed best classic simulation games for our users in all over the world. Now play this game and give your feedback for next update. Do you like parking simulator, driving simulator and parking games? Do you want to have fun while parking your car in parking lot and drive like a real driver? 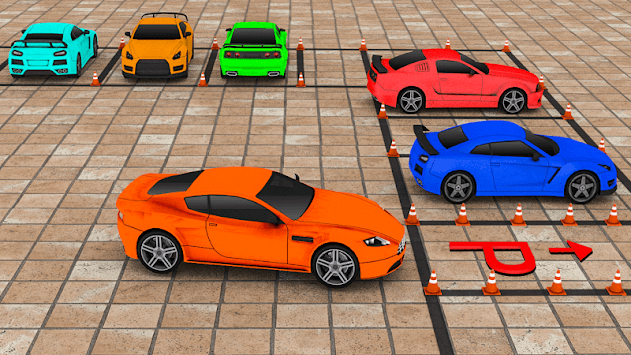 Do you like 3D car parking games and multi-storey parking lots? Do you want to try something different than regular boring parking games? Have you ever wished to have modern car in your garage and do challenging parking missions of luxury car parking and futuristic concept cars? If your answer is yes!! then Parking Simulator is a challenging game for the true fans of parking and driving simulations games! If you love luxury car parking games 3d then this car parking adventure game is perfect for you with countless fun. Park Me: Multistory Car Crazy Parking 3D 3 Games is multi-storey and street parking & racing game - the monster car parking simulator is a challenging car simulation game and it has realistic car controls like modern car parking as well as interesting & dynamic car parking game play. This game has everything a parking simulator needs to have. Modern car parking game 2019 is a parking simulator - the ultimate parking simulation game that requires driving skills to hold your nerve in the narrow city streets and parking lots and to park your car bravely in multi-storey car parking game. In this street car parking 3d: parking games 3 your job is to accept car parking adventure and show your driving and car parking experience. Real Multistory Car Crazy Parking 3D 3 gives you realistic car driving and street car parking environment. In this driving school academy you learn luxury car parking, parallel car parking and city car parking. If you don’t know how to park your luxury car in parallel direction with modern cars then this car parking free game is best for you to play. 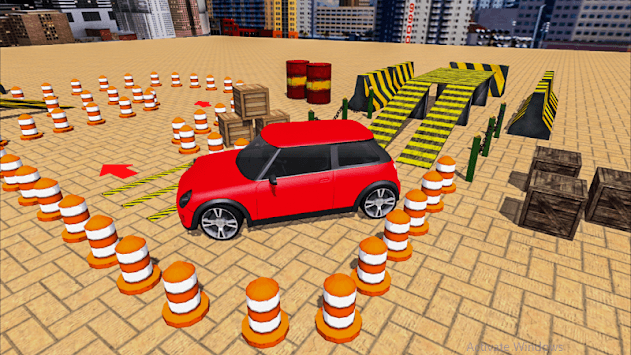 You will experience tough time of parking in this Multistory Car Crazy Parking 3D 3 game. Utilize your car parking experience of driving school academy to clear the parking levels in real car parking lot simulator. In this luxury car parking games new 2019 free game fasten your seat belt and start driving of your monster car and drive with limited speed to park your stunt monster car in parking lot and city streets and become legend parking driver in the city car parking zone. In Multistory Car Crazy Parking 3D 3 game you will learn how to park your racer car and future concept cars in initial levels. The main goal of this real car city parking game is to park your concept car in parallel direction in limited time span. In this Prado car parking game it is easy to become master in parking area and parking Dr. as compare to learn in real car parking sim free game. Enjoy the new luxury car parking game. 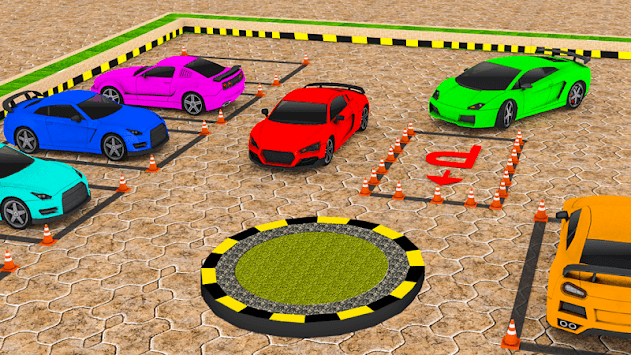 This modern car parking driving game 2019 gives you the opportunity to learn future & concept car parking like a fabulous car driver and parking dr.
Fasten your seat belts and experience adventure of real parking with all kinds of vehicles. Control your car in a real parking lot in this car parking mania with an on-screen steering wheel, acceleration and brake pedals. Shift your gear forwards or backwards whenever you want to! You can change the angle of your camera by simply touching your screen and experience 3D parking challenge. There are 100 different levels for testing your skills in parking!